Despite the freezing and almost freezing past few nights, our honey bees are flying about busy as ever during the sunny days. Their current focus is on our strawberry fields but its their hard work and honey from last season that we are enjoying–our first bottling of Greendance Mead! Coming and going, and going and coming. The endless round trips to the hive. 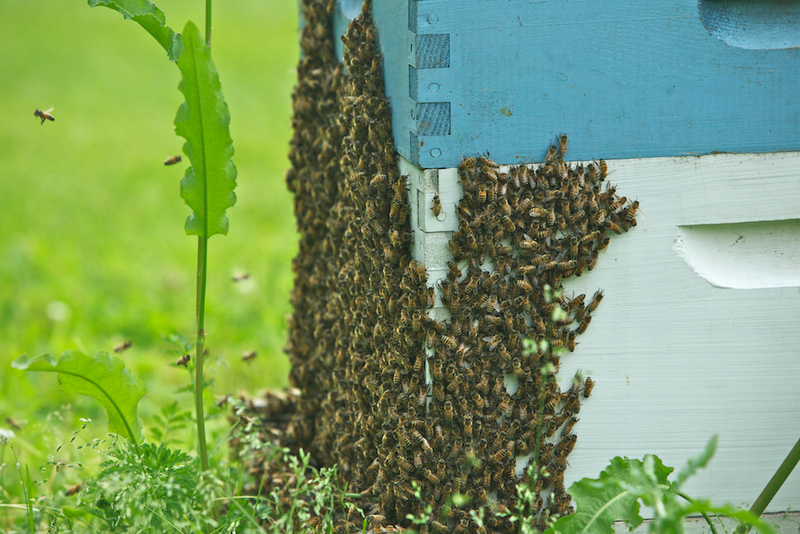 We have around 20 hives each season that work endlessly. Mead has a longer history than our earliest civilizations, being produced some 30,000 years ago. Letting a fine wine age can be a great reward, but we would not recommend sampling any wine quite that old. Ancient man traveled out of Africa into the north and brought with them bees, their honey, and the key ingredient – yeast. There are theories that mead was first discovered in hollows of treats where hives would form and get filled with water during the rainy season. Add honey, water, and some native yeast – voilá the rough recipe for honey wine was born. Whatever its accidental origins, Mead making became a tradition across Europe, India, and China. Keeper of the Mead having a sample…or two. Honey and Mead were prized in Europe and popular for many millennia until the introduction of sugar cane brought back by some famous world explorers. 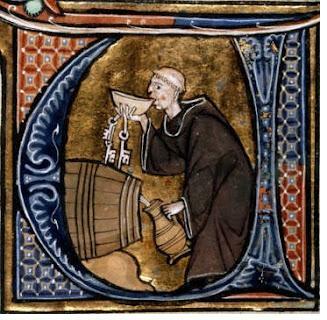 Honey took a back seat to the less expensive form of sugar and Mead became an art form kept alive by monks in their monasteries. There, hives were kept for beeswax–a necessity in ceremonial candle making–and provided a surplus of honey. So in honor of the great traditions of our ancient ancestors, we channeled our inner Scandinavian and produced a mead with great smoothness, light floral aromas, and flavors of pure local honey. So whether sailing to new worlds, conquering neighboring strongholds, or lording over your hall—fill your store rooms with Greendance Mead.